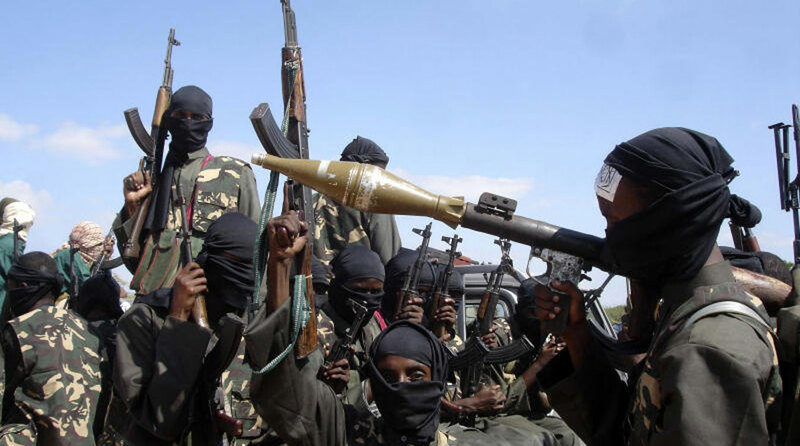 Suspected Al-Shabaab attackers shot dead two teachers at the Arabia Boys Secondary, Lafey Sub County Mandera County. Police said the militants struck at about 1 am Wednesday and first hurled explosives before opening fire. The gang targeted a teachers’ house that had two teachers setting it on fire and killed them. “Suspected Alshabab terrorists threw an explosive device at a teacher’s house that had two teachers setting off a fire that sadly killed the two teachers,” said Inspector General of Police Joseph Boinnet. He added Police Reservists guarding the school engaged the attackers who then fled as more reinforcements were mobilised. The school is few kilometers away from the main Kenya-Somalia border. There has been a lull in attacks from the militants in the area due to police operations in the past six months. In February 2018, two teachers and a wife of one of them were killed in a raid on a school in Wajir. This prompted the government to order all non-local teachers to me moved from near the border area. Then, the Teachers Service Commission (TSC) started transferring non-local teachers from Wajir County to their home areas, which angered local leadership. The commission issued letters to at least 80 teachers who were teaching in areas considered to be dangerous in the county that borders Somalia. Non-local teachers in the border county have borne the brunt of attacks on schools by rag-tag Al-Shabaab militia from Somalia. This has affected the quality of education in general in the area. Apart from teachers, the gang has been targeting security agents killing more than 50 of them in the last year alone in separate attacks. And as part of efforts to address the menace, the Administration Police is taking over various stations that are currently being manned by other security agencies.